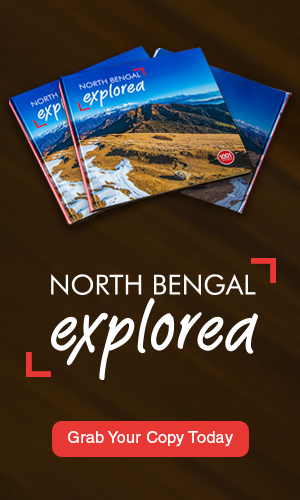 Norbugang falls under a sub-division of Geyzing in west Sikkim and in the place called Yuksom, the first capital of Sikkim. 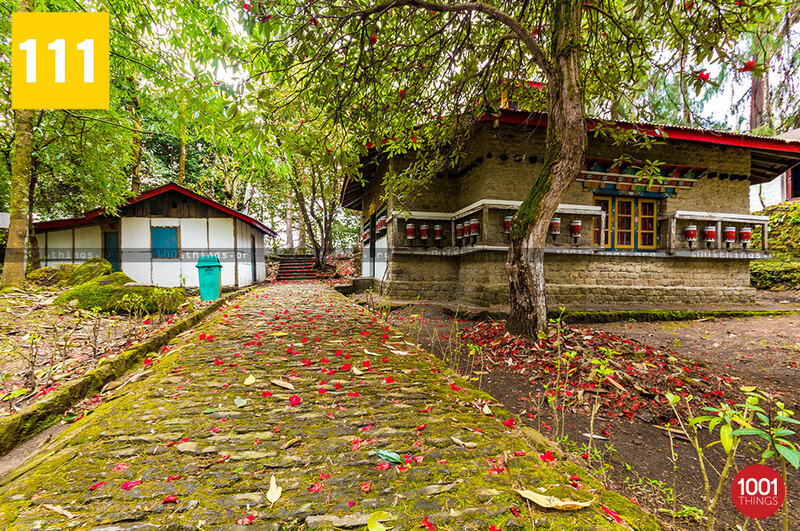 The Norbugang occupies a very significant place in the history of Sikkim, it is a religious site for the Buddhist pilgrims as it has been said to have been a meeting place for three great Buddhist monks, in fact, this place was chosen for the coronation of Phuntsog Namgyal , the first Chogyal or king of Sikkim in the year 1642. 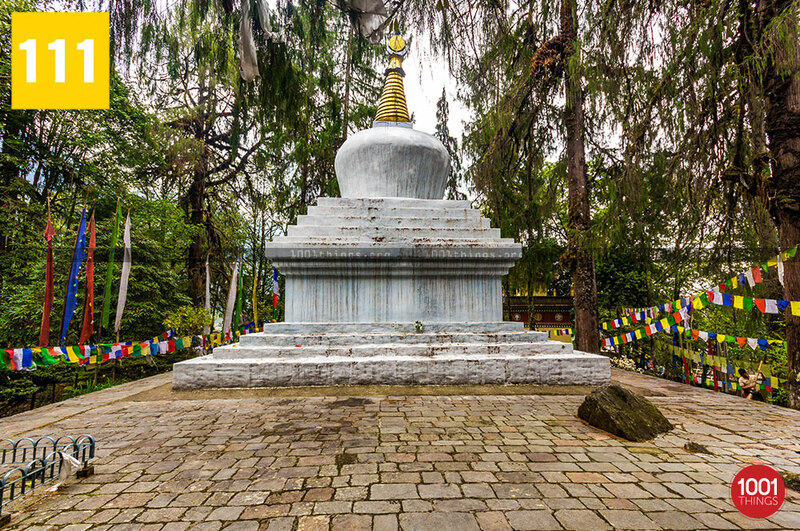 The huge Chorten was erected following the consecration ceremony by the three learned Lamas headed by Lhatsun Chempo during the crowning of the first Chogyal, the Chorten was built with collected materials from all parts of Sikkim and it is said that the huge amount of treasure offered by the people to the Lamas has been buried beneath the Chorten. 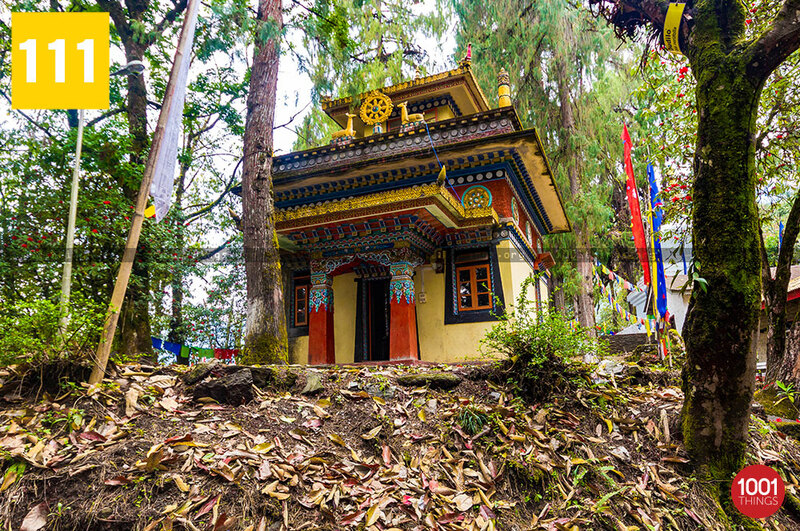 The consecration ceremonies performed by the lamas at the Norbugang Chorten lasted for 21 days. Commemorating the great historical event of the crowning ceremony of the first Sikkimese king the rectangular stone platform facing east lies within a rubble enclosure comprised of four seats in stepping orders with a raised back rest, the largest and the highest of the four seats was meant for the head of the lamas, Lhatsun Chempo, whereas the seat to his right was for Phuntsog Namgyal, both of the seats to his left was meant for Kartokpa Lama Sempa Chempo and Ngadakpa Lama Rigzing Chempo respectively. 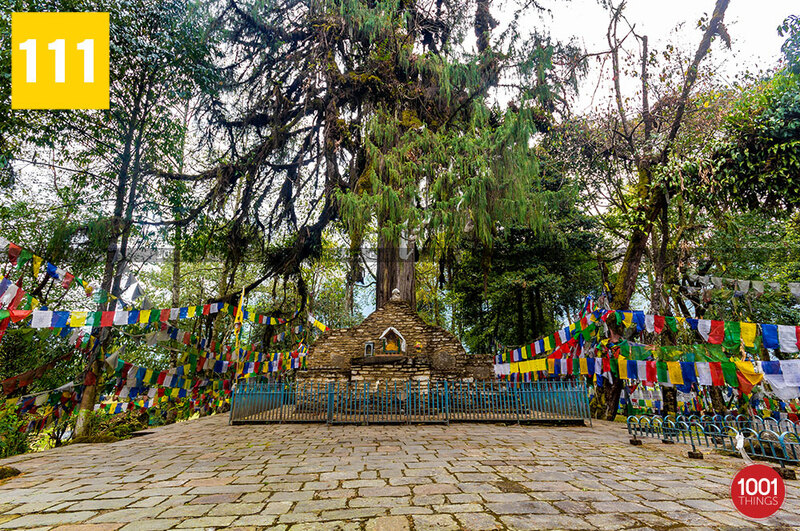 The very old Pine tree behind the throne is believed to be associated with the coronation ceremony of the Chogyal. The coronation throne and the holy Chorten is now looked after by Archaeological Survey of India.